(Honesdale, May 10, 2017)… Called a “swaggeringly bad girl bluesy rock band” by music media, Larkin Poe, a sibling duo out of Georgia, will headline the 12th annual Honesdale Roots & Rhythm Music & Arts Festival on June 17th. Also dubbed “a sister act with staying power” by NPR, these two ladies “should have the Roots crowd off their feet and dancing by night’s end,” says Randy Kohrs, music committee chairperson. The two sisters, Rebecca and Megan Lovell have racked up a season of touring highlights… including being part of the All-Star backing band during the 2017 MusiCares Person of the Year tribute concert honoring Tom Petty in February. The pair have appeared on Conan O’Brien’s late night show and been featured in Guitar Player Mag, Acentric Mag and Pure Volume. The festival’s main stage lineup will kick off with Bluesman Bruce Katz and his band, followed by Thomas Wynn and The Believers and then No Good Sister before Larkin Poe. No Good Sister is actually a trio of ladies— hailed as “masters of three-part harmony” – from the Philadelphia area who started singing together in 2012. This spring they released their first full-length studio album, You Can Love Me. Bruce Katz and his band start off the whole show in Central Park at 1:30pm. Katz is a four-time nominee for the Blues Music Award and was inducted into the New York Blues Hall of Fame in 2013. 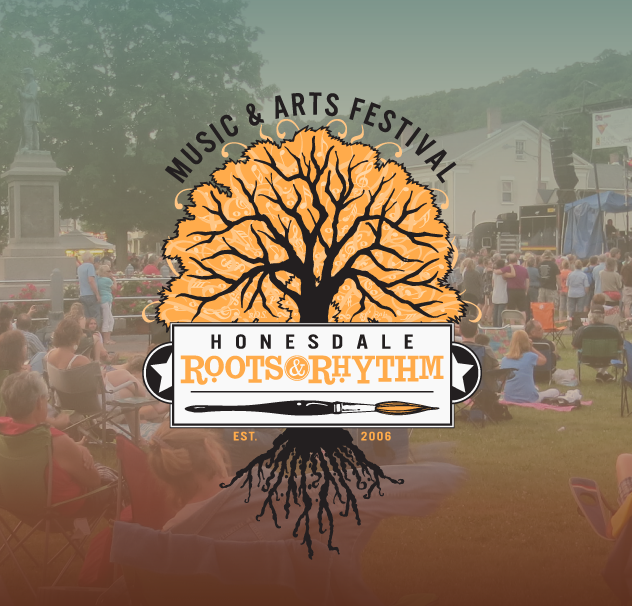 Honesdale Roots & Rhythm officially opens at 10:30am with local bands along Main Street and then moves to Central Park, where attendees can enjoy arts, crafts, games and food. This non-profit event is totally free of charge, put on entirely by volunteers and supported by sponsors, donors and grants.